Join the Center for African American Health for this family-friendly, educational, multi-generational event! Runners and walkers can follow a 5K route or choose the one-mile course before visiting the Health Education Expo area featuring more than 40 booths filled with important facts about vital health matters. There will also be a special Children’s Health and Safety Zone providing fun activities and information for youngsters, plus great entertainment. Plan now to participate in Destination Health by forming a team with your family, friends, coworkers or patients. 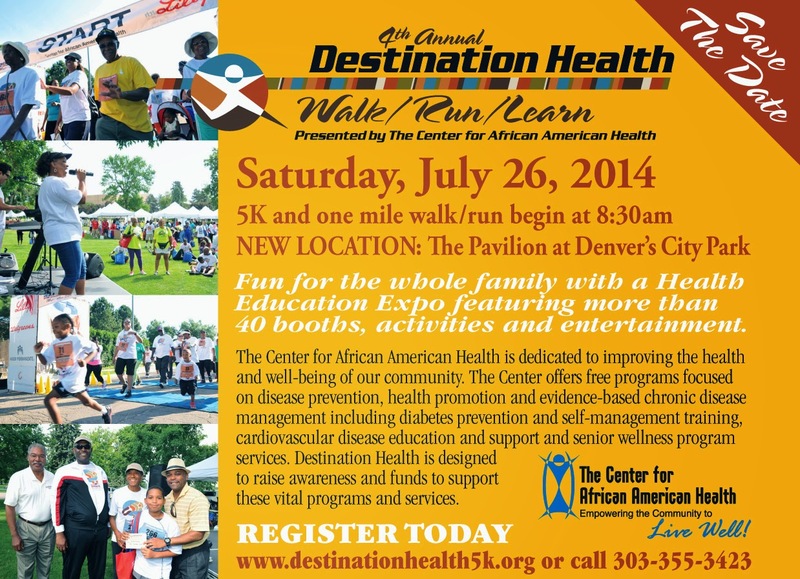 Proceeds from Destination Health benefit the Center for African American Health, which is dedicated to improving the health and well-being of the African-American community.